However, in that same interview, Mr Bayly also spoke about an apparent ‘40% RDA principle’, this according to the CEO means that 40% of the persons hired by the RDA is and will continue to be non-locals from international markets. 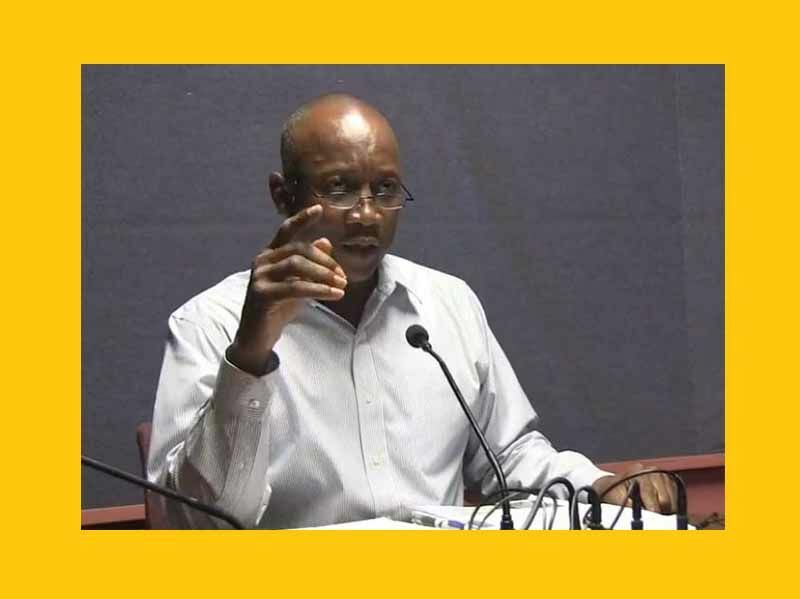 “That means if the RDA were to hire 100 persons, 40 of those persons will be from outside the BVI,” Mr Skelton-Cline said in a release on December 19, 2018. In essence, locals are being sidelined for jobs at a local agency responsible for their own development. Mr Bayly, as part of his defence said one of the reasons for recruitment of skills internationally, includes a policy where for every international person, the RDA must have one local staff. “We have a number of international staff on the staff of the BVI, in fact, about 40% of the staff at the RDA is international. But we have a policy and a programme that every international person would have at least one… local people working alongside them,” he said. The CEO also revealed that due to the unprecedented situation of large-scale devastation, the agency wanted to get the “best value we can for the money” in relation to the skills they recruit. However, Mr Skelton-Cline is continuing the raise questions about this 40% figure, “Are we not intellectually agile enough to navigate and negotiate financing and grants in the marketplace?, Where did that number come from? Who made it up? Is it deliberate or arbitrary?” he asked. “You mean to tell me, in the recovery and development of our own territory we are being relegated to a sixty percentile participation? In any educational grading system that worth its salt, that’s considered a ‘D’. We are better than this and should demand more,” the radio host and man of the cloth urged. 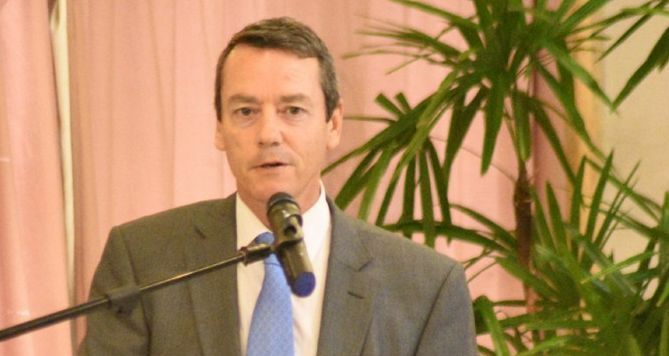 According to Mr Skelton Cline, “Since hurricanes Irma and Maria, a majority of our people particularly from the tourism sector have been out of gainful employment. We have already allowed into the Territory over two thousand workers supposedly in the construction field,” he said. “Now here we are again with another entity namely the RDA operating in a silo where the CEO can just casually say, 40% of the persons being employed will be non-locals. How is this possible you ask?,” he questioned rhetorically. “It is possible when elected officials in leadership are so compromised they can’t look out for the best interest of the people who elected them… It is possible when the so-called elite of the Territory remain silent in their pseudo haven, so as not to upset their apple cart of comfort and convenience,” Mr Skelton-Cline lashed out. This he says, is a ‘big deal’ since those in power are allowing the developed world to move into the territory in the name of aid/help, grant financing and ultimately saddle the VI with debt in a bid to erode the economy. we told you all so! You are a small minded individual..
No he is not. He has either missed the issue completely or he pretends to miss the issue completely. But he does know that such arguments will vex Virgin Islands to agree with him because it appears to be protectionist to us so he says it whether he actually believe it or not. There are still sensible people in this country who do not buy in to your political posturing and tirades. The very reason the agency was created was to avoid the wastage we have had when civil servants and other non-experienced individuals ran the show. It was the very reason the banks did not want to fund as there was no proper accountability in the system. You want them now to come and fill the RDA with the same people we have filled the Government with and $300 million dollars later we have nothing to show. Get a grip. We have ran our own show for years and we are now bankrupt, scandal everywhere, including the Cruise Pier, that you were given watch over. We caused this on ourselves, so let us learn from others now and be humble until confidence is restored. Goodbye. People just upset because they can't get overpaid to under deliver. Add anymore before the full stop. Claude you were with the same people who cause this mess in this place. If you was still with them the song would have been different. Claude I hate to bust your bubble but we're the ones responsible for this. For years we fail to hold our elected officials and those in high position accountable for the actions so now we must pay the piper. Look around at the many unfinish high price projects under taken by past and present government (especially the later) that are still limbo. All we cared about was fill our pockets and not looking at the effects it will have on the country. Now we out here with arm stretch out like road side beggars on every corner. (no offense to beggars). Do you think our donors want to see their money go down the drain the same way we wasted ours? No one cares about locals no one! The BVI is know or branded all over the world as a small wealthy island that filled with greedy locals who hates everyone that's not local . With leaders that become millionaires...Our reputation makes us a target. The way we are branded the world hate us. ...We have to blame ourselves . Change our ways.. This self-anointed Bishop really shows his colours time and again. We need the best qualified people from around the world to come and assist us completely rebuild and to do so in the proper way. 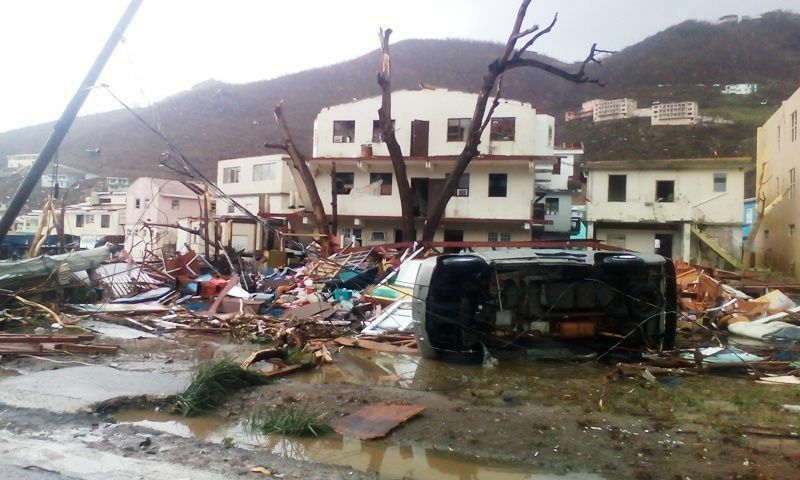 Our island would have still sustained damage but not half as much if the infrastructure was properly constructed. And our economy would be far better off even before the storm if we had proper infrastructure and we would smell human s h I t in our towns. We do not have scores if highly qualified people on island. We do have a population who can learn from the incoming professionals and who will get a lot of the rebuild work and the opportunities that stem from having a newly built island. Instead of sniping and lying like a bald Trump, how about you encourage our youth to go out and get the training, turn up for the jobs, start new companies of their own? 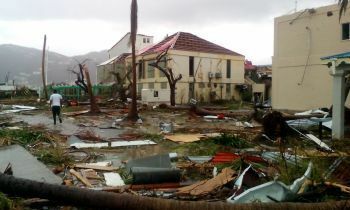 Many after Irma in Cayman started a number of businesses that simply did not exist beforehand. That is because they took a better view of taking opportunities, looking after long term expiration residents so they stayed and invested and grew the economy. Now they have many locals with all sorts of businesses to service that demand that was not there before (tech businesses, restaurants, solar and wind power systems...) and modern, safer and more self-sufficient homes and buildings. If some of the people with a platform in our country had the country and our youth at heart we would not hear all this jealousy and greed and negative talk about a system designed to put us back on own two feet. Will government start to accept the deals on power and on a range of fronts that will make us better off? People in the bvi are so blind that they take everything at face value look here right is right and wrong is worng so u telling me that u cant find at least 25 % of that 40% to do good work in the bvi ? Name the place where any of those international contractors are from that could have withstood w cat 5 hurricanes ? The point is that we are to blame for it. We are to blame. The only way to fix this is to change or ways and stop crying foul whenever things don't go our way. We can recover from this depending on how we respond to it. But we need leadership that can do it. Claude's party lacks the vision to do so unfortunately but they are nice people. We need a visionary and one that has a track record of managing wealth on the brink of destruction and brining it back. Of the three before us only Ronnie has that. The rest will be amateur night, probing and trouble shooting. We can ill afford that testing right now. This man should stick to godly matters as he is naive when it comes to International financial matters. There may be qualified local's on the island, but, are they the best, because, that is what the real world requires. We claim to be an International offshore finance center of excellence, so, we need the best there is in terms of professional people. The sad reality is that few if any local qualified people would get a position elsewhere unless they had worked in various countries around the world at a similar senior level. Let me be skeptical of the new face of fairness; fair ain’t always fair, or right- but fair has always been associated with white,bare, and unfair! But if one is to be skeptic about one branch then one has to weigh the next branch with the same pendulum of skepticism; has the homework been done on the new and next of hires; and don’t the BVI have qualified trustworthy and capable Candidates who could have risen to this mantle? Or did someone call Wolf? NB: Once you let others in your home you open the door to them not leaving; like fish after three days company “stinks”. BVI everything happens for a reason so Stay Woke - Work this matter out, if you need to get the job done then get it done and get them to “blank” out before they “overstate” and the promise to deliver becomes “overstaying” and wearing out their welcome! Brain UP and let’s Get involve Now not Later - let’s like an oversight committee to police the department! I have never seen so much either self hate or just expatriate coming on blogging crap , I you think for one minute killing the messenger is our mission for going forward, then the joke is on you. This is my friend a hostile take over by the white cabal. The funniest thing is they have help from a bunch enablers like Robert and his gang that thinks like him.